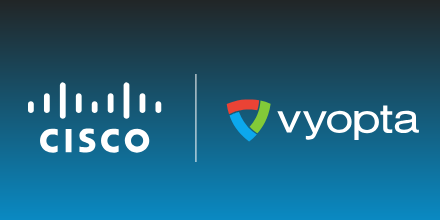 AUSTIN, Texas–(BUSINESS WIRE)–Vyopta Incorporated, the industry leader in video and unified collaboration analytics, today announced a $5 million Series A funding round led by Austin-based AVX Partners (AVX). This is the first venture capital round for Vyopta, a growing tech startup that helps large enterprises increase the use of video to improve how they collaborate internally and serve customers. Vyopta has more than 70 large enterprise customers with a combined total of 3 million employees ranging from Vista Print to the U.S. Department of Veteran Affairs. The company is known for its vAnalytics™ platform, which provides a single, intuitive system for large enterprises to monitor, support and optimize their growing video and unified collaboration networks. Leading the funding round is AVX Partners. At the helm of the investment is seasoned venture capitalist Chris Pacitti, managing member of AVX Partners as well as general partner at Austin Ventures. Along with the initial funding, AVX Partners will provide a designated team of C-suite-level operational advisors to support Vyopta with marketing, development and operations. The advisory team includes three alumni of Austin-based SolarWinds: former CEO Mike Bennett, former CMO Rita Selvaggi and former VP of Technology Josh Stephens. With the support of the advisory team and Vyopta’s expanding product platform, Vyopta is planning on increasing its 25-person team to more than 60 by July 2016. New hires will include positions in software development, product management, sales, marketing and customer success. More information on Vyopta and its products can be found online at www.vyopta.com. Founded and headquartered in Austin, Texas, Vyopta provides a single system to monitor and improve the performance of large video and web collaboration networks. Its products monitor more than 400 million video collaboration minutes per year on collaboration infrastructure technology from vendors including Cisco, Polycom, Microsoft, Vidyo, Acano and Pexip. vAnalytics is used by many of the largest private and public sector enterprises in the world across more than 20 industries including health care, technology, financial services, government, higher education and more. To learn more about Vyopta’s products, visit https://www.vyopta.com. AVX Partners (AVX) is an Austin-based venture capital firm focused on growth-stage software and cloud investments. AVX’s limited partners are a unique mix of successful entrepreneurs, emerging company operating executives, professional investors, influential community members and large family offices. A subset of the limited partners (LPs) actively engages in each AVX investment, providing unique value to each portfolio company. To learn more about AVX, visit www.avx.partners.